Xiaomi Mi5 users can get the taste of Android 7.1.1 Nougat firmware with the help of Resurrection Remix custom ROM. The company still have to release Stock Nougat firmware for Mi5. Till then, the Android 7.1.1 Resurrection Remix ROM is the best option to experience the Google’s latest operating system. 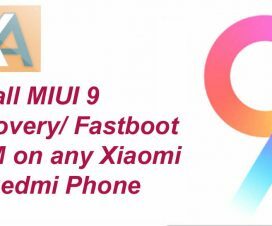 To install the custom ROM, you first need to unlock bootloader and then install TWRP recovery on your Mi5. Before installing the ROM, it’s mandatory to create backup of your entire data as it undergoes full factory reset. Without much looking further, checkout the below pre-requisites and then we’ll take you to step by step guide to flash Android 7.1.1 Nougat custom ROM. It is the guide compatible only with Xiaomi Mi5 Snapdragon variant. Don’t try on any other Xiaomi Android device. 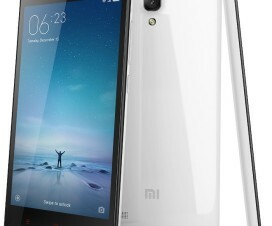 Make sure Mi5 have root access and TWRP custom recovery installed. You can check our guide on how to Root Mi 5. Download & install USB Drivers on your PC. Make sure the battery level on your mobile is more than 75% to complete the flashing process uninterruptedly. Perform backup of all your important data to a safe location in order to restore back if any data loss occurs. 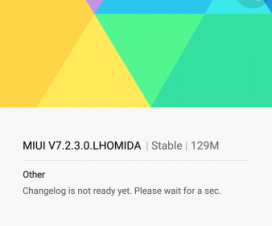 Bootloader of your Mi5 should be unlocked (Complete guide). Disclaimer: Flashing custom rom voids your company warranty. You may also brick your device if doesn’t followed the steps accordingly. Always, continue at your own interest. The following is the steps by step instructions to install Android 7.1.1 Nougat custom ROM on your Xiaomi Mi5. If you’re aware installing custom ROM on Android phones, then this would be a simple procedure. Before you start the flashing process, make sure you read the tutorial once and then proceed. 1. Download Android 7.1.1 Resurrection Remix ROM for Mi5 to your computer. 2. Take a USB cable and connect the device with PC. Now you need to copy the ROM file to root of your phone memory/ SD card. 3. Disconnect the device and then turn it off. 4. Next, you need to boot the phone into Recovery mode. To do so, switch on the phone while pressing and holding Volume Down + Power buttons together. 5. From the recovery menu, perform a full data wipe by tapping on the ‘Wipe’ button. Confirm by swiping on the “Swipe to Factory Reset” option at the bottom. 6. Head back to main menu and tap on “Install”. Here you need to choose the ROM file which you have placed to device storage. 7. Confirm the flash by swiping on the “Swipe to Confirm Flash” option. 8. That’s it! 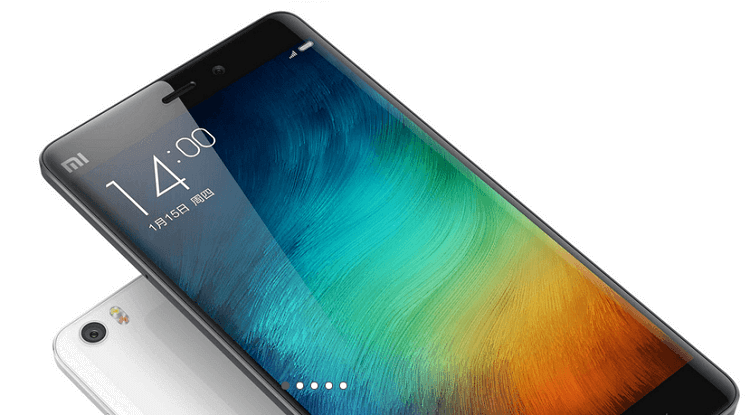 TWRP recovery starts flashing Android 7.1.1 ROM on your Xiaomi Mi5. Once done, tap on “Reboot System” button. 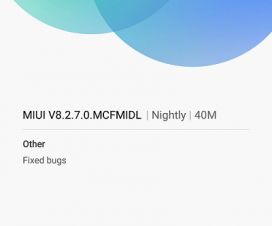 Now you have successfully updated Mi5 to Android 7.1.1 Nougat firmware. To verify, go to Settings > About phone. If you face any issues during the flashing process, feel free to drop a comment below and we will reply you back ASAP with solution to your problem. Stay tuned to Xiaomi Advices for more such tutorials.